Oral Sedation, also known as “Conscious Sedation” is one of the latest techniques in sedation procedures, and can greatly minimize any anxiety you may feel associated with your dental treatment. Administered in pill form, Triazolam, also known as (Halcion®), will relax you and allow you to communicate with Doctor Van Maren while your procedure is being performed. Additionally, local anesthetic is used with all treatment patients. Dr. Van Maren has a permit issued by the Texas Department of Public Safety that is required to administer sedation techniques that fall under minimal conscious sedation. Even though Triazolam (Halcion®) is relatively safe and effective, and is metabolized after your dental visit, you should be aware of some important precautions and considerations. Our team will review this with you prior to your appointment. Side effects may include light-headedness, headache, dizziness, visual disturbances, amnesia, and nausea. In some patients, oral Triazolam may not work as desired. Smokers will probably notice a decrease in the effect of the drug. 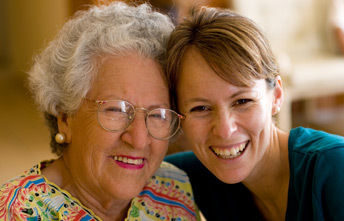 At Bay Area Denture and Surgery Center, your health and safety is our main concern. To ensure you have been properly informed prior to taking Triazaolam (Halcion®), you will be provided and must sign a consent form before being provided the prescription. The consent form will be completed in our office, prior to your procedure. Please plan to arrive 30 minutes prior to your scheduled appointment and take Triazolam as Dr. Van Maren has directed you. The onset of Triazolam is approximately 15-30 minutes but can take as long as an hour, depending on various factors. Do not drive after you have taken the medication. Eat a light meal before your appointment. On the day of your procedure, wear loose-fitting, comfortable clothing with short sleeves or sleeves that roll up easily. If you are taking medications other than the ones prescribed in our office, please bring them or a list of them with you. Also, please bring the remaining Triazolam pills with you to your appointment. If you are unable to keep your appointment, please let us know as soon as possible and retain all of your Triazolam for the day of your appointment. IV Sedation dentistry can put you at ease and virtually eliminates the pain associated with dental procedures. Intravenous sedation is one of several options available to significantly reduce your fears and discomfort. During intravenous sedation (IV sedation), an anti-anxiety drug is administered into the bloodstream to achieve a state of "deep conscious sedation." Although you will not actually be asleep, you will enjoy a heightened state of relaxation — and probably won’t remember much about the procedure afterwards. Your appointment will be a dream and an hour in the chair will feel like minutes. IV sedation will put you at ease so you experience little to no discomfort; however, Dr. Van Maren will also administer a local anesthetic to ensure that you don’t experience any pain. At this point in you’ll be so relaxed that you’ll hardly even notice. Throughout the procedure, your breathing, heart rate and blood pressure will be closely monitored. Patients generally recover quickly, although they may feel slightly groggy immediately afterwards. IV sedation is extremely safe when delivered by a specially trained dentist or anesthesiologist. Two appointments are usually required. During your first visit, Dr. Van Maren will describe the benefits and risks of IV sedation, patiently answer all of your questions and give you detailed instructions for the day of your procedure. On the day of your procedure, you will not be able to eat or drink anything 6 hours prior to the procedure, you will need to have another adult with you to take you home. You should not perform strenuous activities, drive a motor vehicle or drink alcohol for the rest of the day. Do not take any medications prior to or following surgery unless Dr. Van Maren has approved their safety.